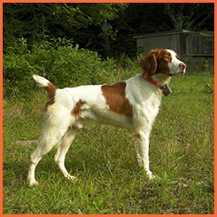 At Centerville Farm and Kennel, we train pointing dogs for bird hunting. 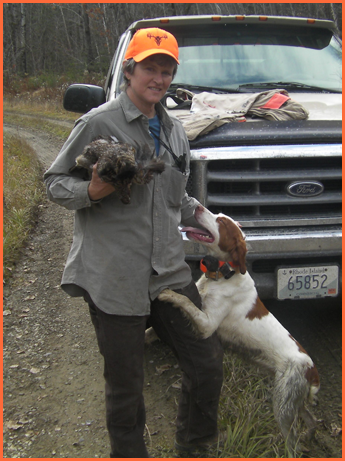 The primary breeds we work with are Brittanys, Vizsla, English Setters, and German Shorthairs. 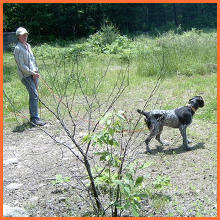 We train by the hour and work with you, the handler, on how to command the dog. We'll get your dog into sharp hunting shape. We want you to participate in the dog's education! This is something most trainers do not do. 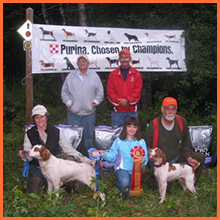 Our method lets you learn what your dog is capable of, develop the knowledge to make corrections, and take the opportunity to ask any questions you might have. 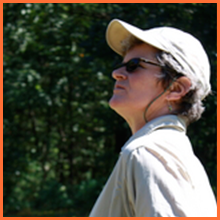 Centerville Farm and Kennel offers reasonable rates for all our training. Pricing is $60 per hour or $600 per month. Hourly sessions are typically the best as they allow for more owner-oriented participation. Long Term rates are available. Our staff has the experience to handle any situation that may arise, ensuring your dog gets trained no matter what. Since we have a small number of dogs at any one time, your dog gets lots of quality attention.